If you have never made campfire margaritas, do it now. I don't care if you are reading this at 9AM on a Monday - make these immediately. John and I made these last Friday for a mini personal happy hour before we headed to dinner. They are so refreshing, tasty, and healthier than your standard margarita made from a mix. 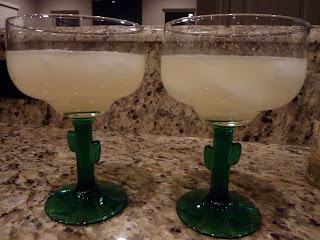 Plus it was an excuse to drink out of those glasses with cactus stems. And if you don't have an adorable little Italian - looking pitcher that your mom gave you as a wedding shower gift, any pitcher will do. 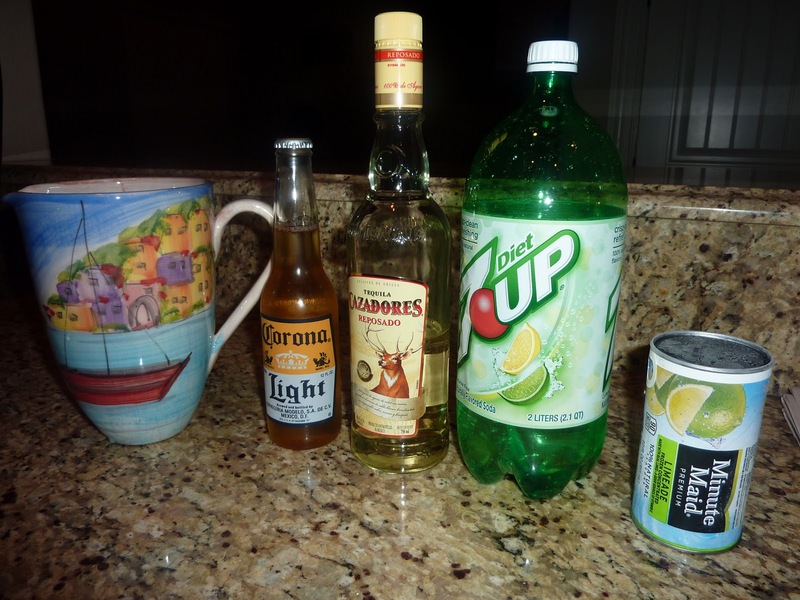 Pour the limeade into the pitcher, then fill up that can with tequila and then diet 7up, mixing both into the limeade. Pour in the Corona, and squeeze in some fresh lime juice if you have it. You can serve these on the rocks (that's what we did), or blend in a bunch of ice and serve them frozen. These aren't really a winter recipe I suppose...but there is never a bad time for a margarita. Drink up!